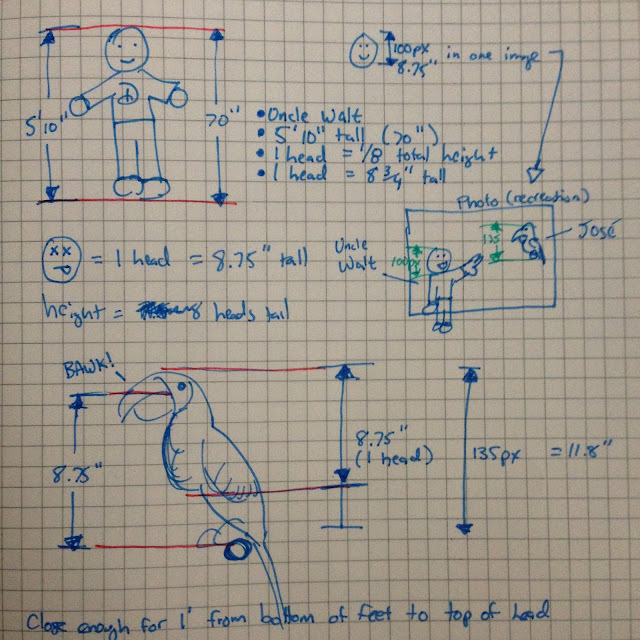 I was realizing for a while that I could easily determine the size of the bird I need to make for the "animatronic avian" project. There are photos of José the Macaw, alongside of a "reference human". This reference human is a known 5' 10" tall. Let's call him "Uncle Walt". Uncle walt is 5'10" tall, or 70". The average human being is 7.5-8 heads tall. Therefore, his head is approximately 8 3/4" tall. Yes. Walt Disney's head was 8 3/4" tall. 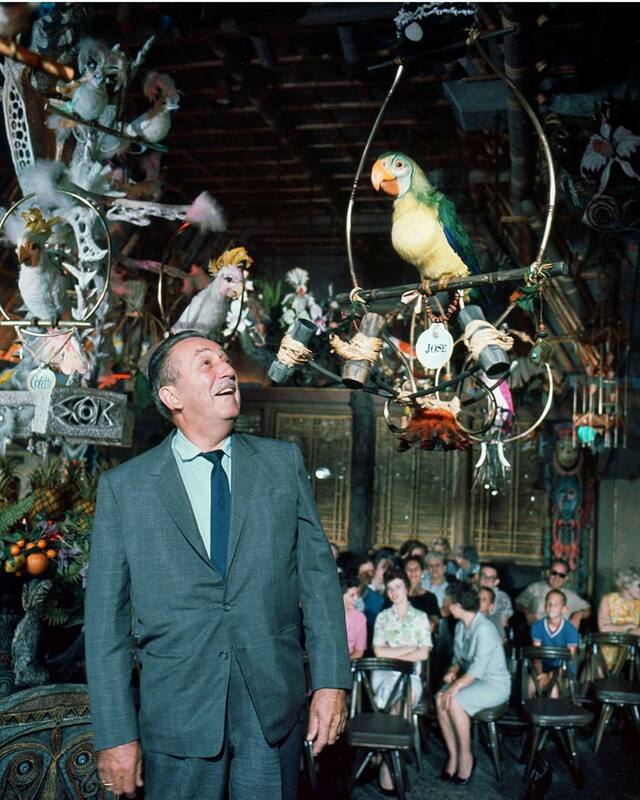 I found an image with Walt and José the macaw, where Walt's head is 100 pixels tall. To be fair, it could have been the "barker bird" rather than José. Anyway, in the same image, José is 135 pixels tall. Some simple fractional math from here (which I won't do here since I don't want to spend 30 minutes figuring out how get Blogger to display math stuff) yields that the bird is 11.8" tall from bottom of feet to top of head. Since this is all estimations, I would say that the bird is between 11 3/4" - 12" tall with feathers and fuzz and such. Now that I have the proportions, and the sizing for this documented, I can proceed to learning how to use the laser cutter at Interlock and design an internal structure a la boat ribs and stringers. I made a boat using this technique back in high school out of balsa wood and MonoKote that worked out well. This time, i'll use some 1/8" wood of some kind instead. I also plan on doing 3d printing for the beak, at least for a form to use for vacuum forming, or perhaps as-is. I haven't figure that all out yet.